Tekkie Pinas: "Finding the perfect balance between work and leisure"
"Finding the perfect balance between work and leisure"
Maintaining a good balance of work and leisure may be difficult for someone who cannot work with time efficiently. To capture that perfect rhythm of working 8 – hours a day and doing after work activities like hanging out with friends, going to the gym, or watching the latest movies, it is essential to get a hold of the right tool in order to keep track of the things that you are doing. Luckily, in this day and age, where technology is abundant keeping track of our work to play activities is now easier. Sony’s new Xperia XA2 Ultra is the perfect tool to get that perfect balance between business and leisure. Here’s why! 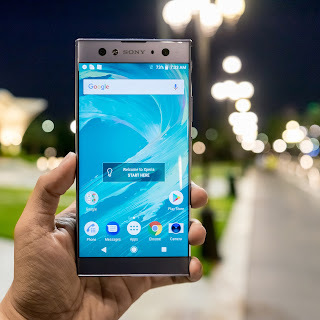 The new Sony Xperia XA2 Ultra is built with a powerful processor. Designed with Qualcomm® Snapdragon™ 630 Mobile Platform, the XA2 Ultra is powered with fast performance and connectivity, perfect for your day-to-night activities. With this processor, organizing your to-do list can be smoothly done and its speedy 4GB RAM allows you to do more things all at once. Multitasking with your phone is now more organized and flawless; whether you are going through emails while listening to music, or even playing your favorite gaming apps, the XA2 Ultra is designed to offer optimal performance. Display that is clearer than ever. The XA2 Ultra is designed with 6" full HD 1080p and Image Enhanced Technology, giving you higher display quality. This may come in handy when doing presentations and writing on-the-go reports or even reading the latest news. This feature gives an immersive entertainment experience when watching movies in your downtime. The 6” Full HD 1080p is perfect for both your daily agenda and leisure time. Battery that is built to last. The XA2 Ultra’s new and improved battery life is designed to last with a 3,580 mAh charge capacity. The Smart Stamina feature, which predicts how long your phone battery will last based on your usage, manages your energy consumption so your battery lasts all day. This is perfect for those long days when you are jumping from one meeting to another. Improved imaging. Perfect Friday nights out need perfect selfies too! Sony Xperia XA2 Ultra has dual front cameras for every situation. The 16MP front camera with Smart Selfie Flash and Optical Image Stabilization is best for places with dim lighting. In a big reunion with friends? The 8MP super wide angle front camera fits everyone into the picture! The XA2 Ultra is also equipped with a 23MP Exmor RS™ back camera with 4K recording, and SteadyShot™. Captured images and recorded videos on your well-deserved holidays will be crisp, clear and true-to-life. With Sony Xperia XA2 Ultra, your #OOTD, #Selfie and #TravelGoals posts will surely be #OnPoint.